The CMCRF is named in honour of James Clerk Maxwell, Scotland's greatest scientist, who discovered the nature of the electromagnetic spectrum. The fund was established in 2000 to support research into the applications of electro-magnetic technology, particularly to assist the early detection and the management of cancer. The major cancer charities tend to focus on the use of drugs and palliative care, with leading cancer researchers speaking of substantial underfunding in targeting the diagnostic end of the cancer spectrum and the significant need for progress in this area. It is now universally agreed that the earlier you detect cancer the more likely you are to achieve a positive outcome. The trustees of CMCRF have supported a wide range of projects; from providing “seed corn” funding for initial ideas, PHD research or combining with other funders to ensure a larger project goes ahead. James Clerk Maxwell famously said, “I never try to dissuade a man from trying an experiment. If he does not find what he wants, he may find out something else”. The first two grants we awarded were to Aberdeen university and the Beatson Laboratories, Glasgow University. 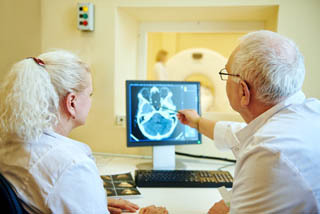 The first to see if a low cost/low field mini MRI scanner could be developed for the early detection of cancer and the second to research the potential damage to DNA from low frequency magnetic fields. This project produced enough evidence of distortion to DNA to encourage a much larger charity to fund a continuation of the work. Currently we are part funders of the projects at St. Andrews University/Ninewells Hospital and Edinburgh University/Western General Hospital.